Why Slow Flushing Toilet Problem Occurs? Is Slow Flushing Toilet Broken and Does it Need Immediate Replacement? How to Fix a Slow Flushing Toilet? Slow flushing toilet isn’t fun. It’s one of the things that can get the worst out of people. Have you ever wondered how to fix a slow flushing toilet? The toilet is something we use on a daily basis. But whenever it’s not performing good enough, it’s a problem that’s supposed to get solved. You don’t need to have any experience in DIY. You will learn everything you need to know right in this post. 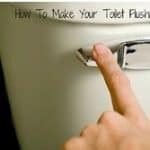 With help here, you will easily be able to fix your slow flushing toilet. You will also remove the possibility of slow flushing toilet again in the future. There is absolutely no need to call your local plumber and prolong the waiting time. 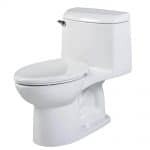 Slow flushing toilet is a common problem out there. You’re not the only one out there, so it’s nothing to sweat about. Whenever the crucial part of toilet gets blocked or messed up, problem occurs. Slow flushing toilet can mean two things. Either your water tank is flushing the water too slow for the bowl to dispose of human waste. Or it’s the toilet bowl that can’t flush the human waste quickly and efficiently. 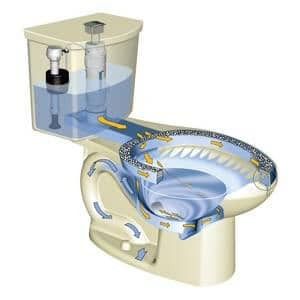 The most common problem is that something is blocking the important parts.Such as jets under the toilet rim. There’s one another problem. It’scan be the mechanism inside the toilet water tank. Slow flushing toilet problem can occur due to bad maintenance. Did you know that you should clean your toilet at least once a week? Whatever the reason is, it’s important to get the strength to do it yourself, and fix the problem once for all. You don’t need to be a plumber to fix minor toilet problems such as this one. Also, fixing this problem will save you money and time as well. 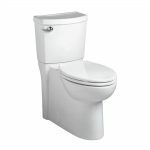 Slow flushing toilet doesn’t mean that your complete toilet is ready for replacement. At least not yet. When most people face a problem, they immediately want to replace it and get over with it. But what if you are on a tight budget and every problem that occurs might break your bank? Fixing the problem yourself is the smartest and the best option to do. Not every slow flushing toilet needs immediate replacement. Most of them don’t even need a replacement at all. Some of the slow flushing toilets might not need anything to be replaced. Some of them just need some part of the toilet replaced. Whatever it is, it’s still going to save you more time and money. There’s no need to call the local plumber and buy a brand new toilet again. Slow flushing toilet most of the time requires an easy fix solution. Solution will leave you laughing after you successfully fix it by yourself. Especially nowadays in the age of the internet. How to fix a slow flushing toilet is a question that can be answered very quickly. Before fixing a slow flushing toilet, it’s important to determine the exact problem. That isn’t hard as most people think it is. Toilet has three main parts which are the water tank, mechanism, and toilet bowl. I would suggest you to start looking for the problem at the water tank. Lift the water tank cover-up and inspect the mechanism inside. Most of the time the flushing valve cover can get stuck. And water can’t be dropped to the toilet bowl at the speed it should drop. The solution for that would be to open the water tank and unclog the water releasing valve. It’s located at the bottom of water tank. Therefore, anything that’s found in water can get stuck in there. Another possibility would be that the flushing valve mechanism. It isn’t working properly so it doesn’t lift up the valve cover as it should. To fix that, you should check and see whether floating arm is in a proper position. Make sure it pulls the releasing valve completely up. You can try and do it with your hand. It will give you an idea whether it’s the problem or not. Those are the most common problems inside the water tank. 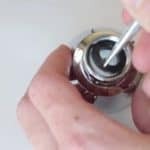 They can easily be fixed using some of the techniques mentioned in this part of the article. Either by checking the release valve or floating arm. Mechanism should be checked thoroughly. However, if not – replacing the mechanism would be the next step. You don’t need to replace the entire water tank, just the mechanism. If the water tank is working fine, the next step would be to remove the valve from water tank to the toilet bowl. Water flows there regularly, and the calcium is very common there. Too much calcium and it could block the valve which results in a slow flushing toilet. Easiest way to remove calcium block would be with proper cleaning chemical products made for toilets. Spray the product over the calcium block a few times. If you can, leave the chemicals sinking in the calcium block for a while. Calcium block will lose its integrity and come loose. If the valve is fine, next step would be to look at the toilet bowl toilet bowl. Jets under the toilet rim are the place where the jams happen most of the time. Water flows there constantly so calcium can build up there as well. It might be a tough spot, however, using a mirror and some kind of wire will help you to clean the necessary spots. To remove jams, make sure you have removed all calcium blocks. Also, make sure that there’s nothing inside the water tank or toilet bowl blocking way of water. The last thing to check would be the toilet bowl valve. There might be a jam under the toilet bowl where the human waste gets disposed. Sliding a long flexible wire down the bowl drain is a good solution. It will immediately let you know if it goes in smoothly or something’s stuck in there. If it’s stuck – keep working with a flexible wire in both directions. That will shake the buildups and loosen them up. You will be then able to remove them easily. Slow flushing toilet can be caused by many reasons, but most of the time it’s jam in either one of these places. Most of the time, there is no need for toilet replacement. The other time, either mechanism or water tank replacement would be fine. 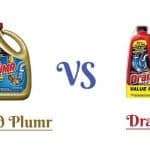 In case you can’t find the problem that causes slow flushing toilet, you might have to give it another try. and repeat the steps. With a little bit of luck, fixing the slow flushing toilet should be an easy task. It’s important to look for the problem, and once you find it, fixing it shouldn’t take long. However, it depends on the problem. Hopefully, there won’t be any replacement necessary. Once you fix the problem, make sure to maintain your toilet to prevent such problems in the future. Clean your toilet at least once a week. I would recommend you to do it at least two or three times per week. That way calcium and other minerals from water can’t build up around the toilet. It’s easier to prevent the problem than to fix it.